The move by the Land Transport Authority for taxi permit applications has no doubt been welcomed by many. More so by those who would never have thought of applying for taxi permits previously. This process should have been in place many years ago where it gives a chance to everyone, especially those households whose total income was below $20,000. In the past, especially during the Road Transport Department days in the 1970s and prior to the formation of LTA, permits were issued in urban areas with the municipal councils allocating bases. These bases formed the main part of one’s taxi application then. The Minister for Local Government, Housing and Environment, Infrastructure and Transport Praveen Bala also indicated that these taxi bases would soon be opened up to become a first-come-first-serve basis. This would be welcomed by all taxi permit holders, but would be protested strongly against by those who have their base on the grounds; that they pay for these bases to the respective councils. The system of obtaining taxi permits will see proper transparency with the vetting of each application and gets rid of some unscrupulous taxi proprietors, some of whom have more than one permit. There have been known instances where proprietors with more than one permit could lease one to another person and when extra permits were sold, high prices were paid. Now it gives hope to some families who have a vehicle and wanting to earn a decent living to get a taxi permit. The sheer notion of giving a chance to those who are less fortunate is now more meaningful. LTA should be wary of those who may try to scam the new system. However, the authority has said that it will surely know who is applying for a permit and who has a vehicle and how many. Some taxi permits have been out already in Suva and it was gratifying to hear from recipients on their change of fortune. 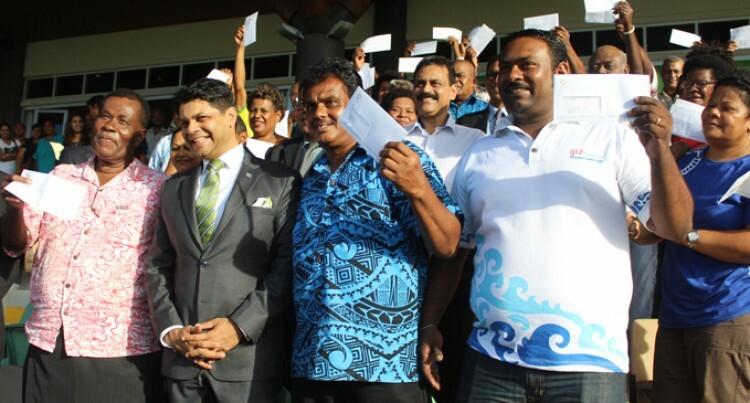 LTA announced its first call for the taxi permit applications for the Nadi-1, Nadi-2 and Lautoka-1 transport zones. The authority will start receiving taxi permit applications for these areas from May 31, 2018 at the Taxi Permit Processing Centre within the LTA Lautoka Complex. The applications for the other zones will be announced later. LTA Board Chairperson Vijay Maharaj said the interested members of the public within the transport zones, who have been announced must ensure that they meet the requirements for the application. “I would like to remind the interested members of the public to ensure that they meet the needful requirements to be able to submit the complete taxi permit application forms,” Mr Maharaj said. He said the new processes in the Land Transport (Public Service Vehicles) (Amendment) Regulations, 2017 would ensure that only those who qualified for this would be considered through the most transparent processes.